Kimberly Shelton graduated from Georgia State University, in 2007, with a Bachelor of Fine Arts in Ceramics. From 2009 to 2015, Kimberly lived in Philadelphia where she worked as a studio technician at The Clay Studio. During that time she also worked as an assistant to many local artists and began developing her teaching philosophy with the clay mobile outreach program. Kimberly also began working within the slow food movement where she discovered her attraction to the connection between ceramic tableware and fresh foods. She moved to Whidbey Island, Washington in 2015 to apprentice with Robbie Lobell of Cook On Clay, a flameware production specializing in ceramic cookware. She has experienced workshops at various Craft Schools including Penland, Haystack, and Arrowmont. 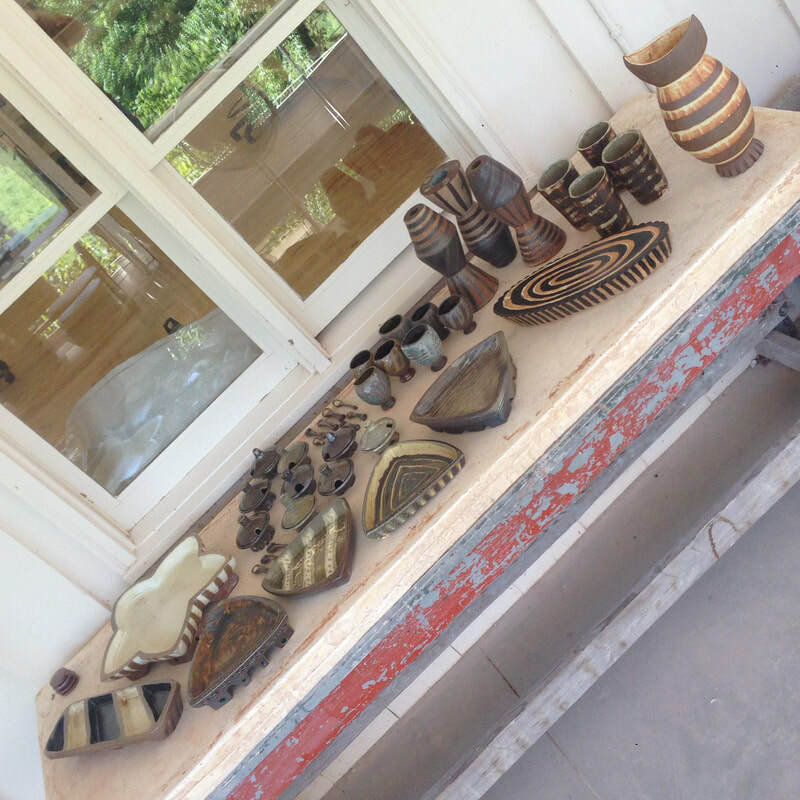 In 2017, she relocated back to Georgia to attend her first professional residency at The Hambidge Center and reconnect with that wood firing community. Kimberly is happy to be back in the South, rekindling her connections to home and her roots.